As a supplier of military watches for the U.S. Navy SEALs and U.S. Air Force, Luminox watches are designed to handle any sort of environment at any given moment. 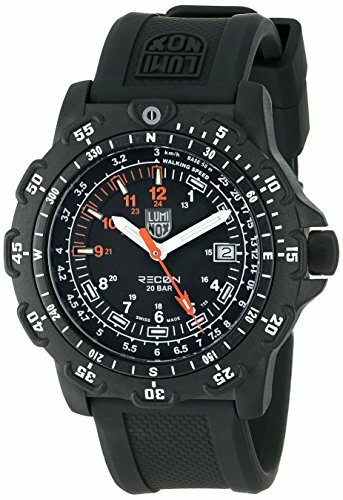 Luminox expanded the collection to include an entire line of watches of many types and styles created for the active consumer, the sportsman, law enforcement and military groups. The advantage of a Luminox in comparison to other watches is its glow-in-the-dark capability. Every Luminox watch uses a self-powered system of illumination powered by very small gas lights (borosilicate glass capsules). These allow the watch to glow continuously for 25 years while having a much brighter illumination system. Luminox watches need no external light source to “charge” the point on the dial or hands in order to glow as do conventional luminous watches. Nor do they require the push of a button to light the dial as do watches with electroluminescence. Being able to read the watches in any conditions, even in total darkness, is an important requirement of many military and law enforcement agencies.